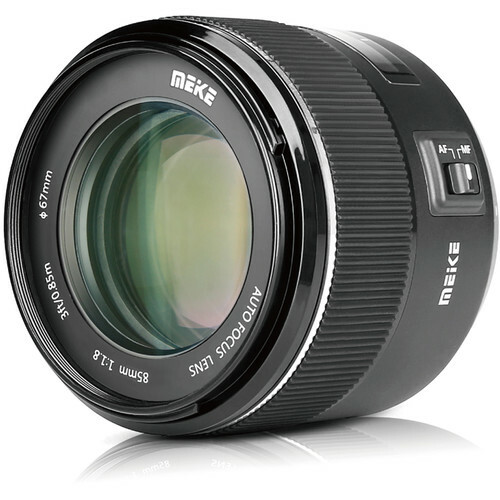 Well-suited for portraiture, the MK-85mm f/1.8 Lens from Meike is a short-telephoto prime designed for Canon EF-mount cameras. Pairing well with the short telephoto focal length is a bright f/1.8 maximum aperture that benefits working in low-light as well as affords greater control over depth of field for selective focus control. An AF/MF switch on the lens barrel permits quick switching between focusing methods, and the lens can focus as closely as 2.8' to suit photographing nearby subjects. 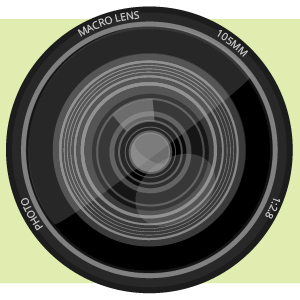 Ideal portrait-length prime is designed for full-frame format Canon EF-mount cameras, however this lens can also be used with APS-C-format models where it will provide a 136mm equivalent focal length. An AF/MF switch on the lens barrel allows you to select focusing methods, with either setting allowing you to focus as closely as 2.8' away. Box Dimensions (LxWxH) 6.1 x 5.0 x 5.0"